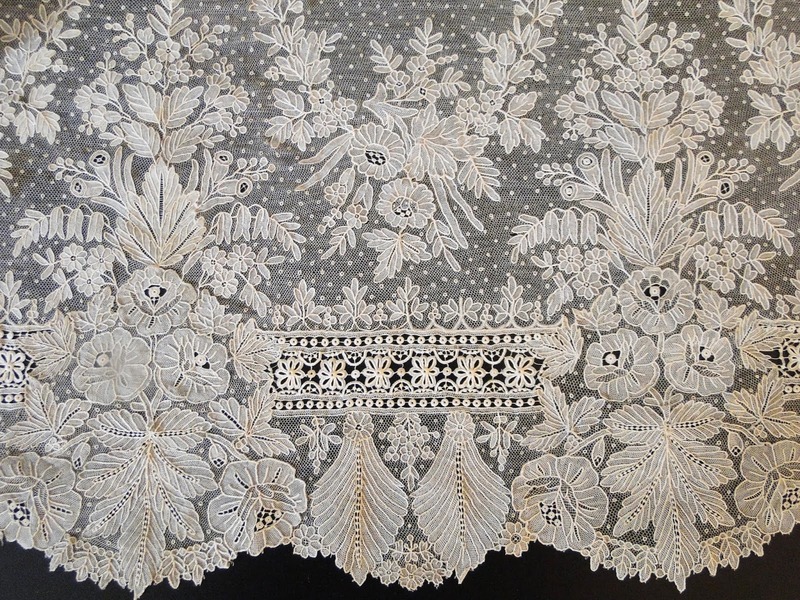 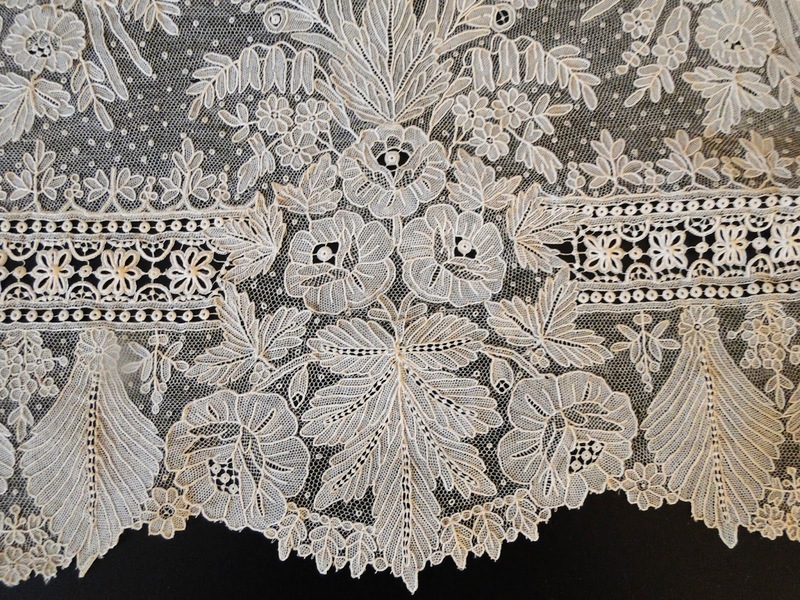 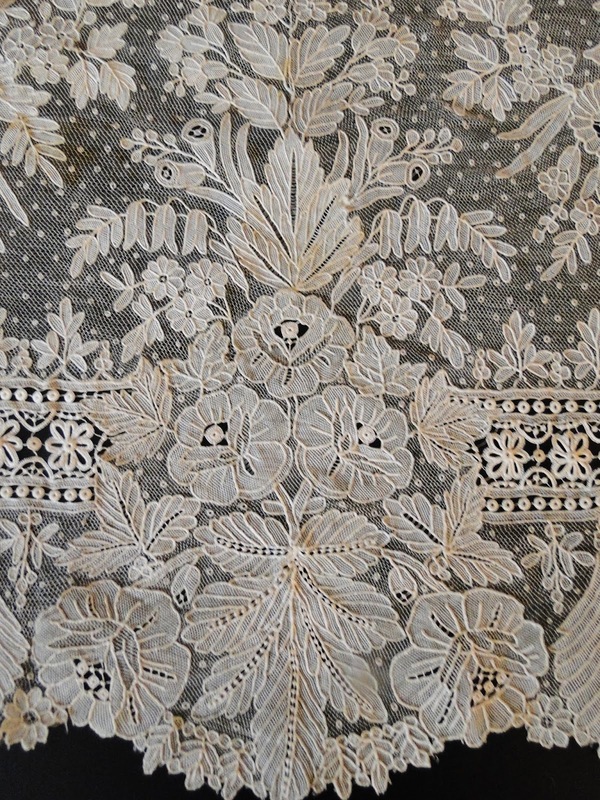 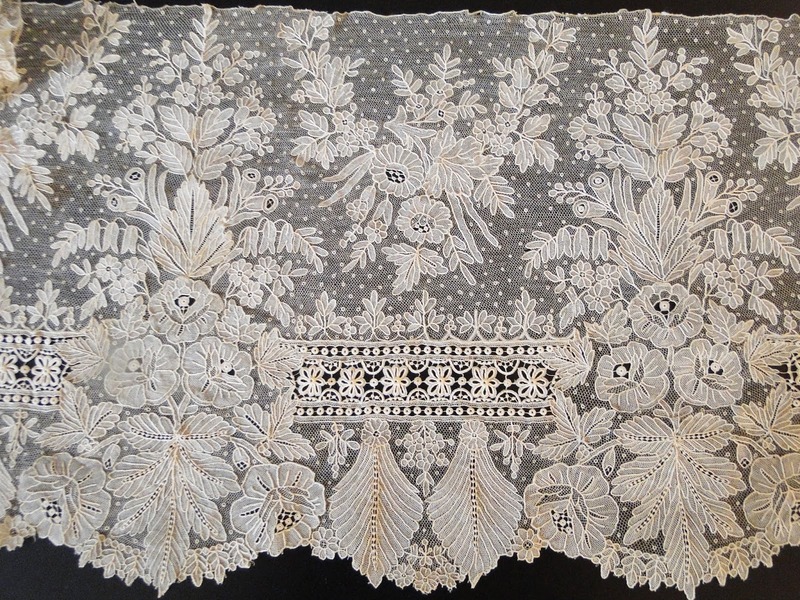 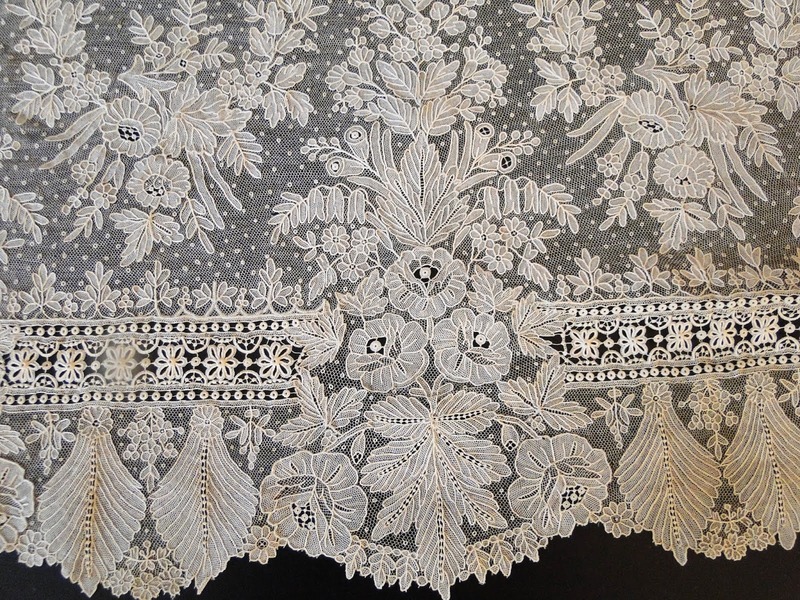 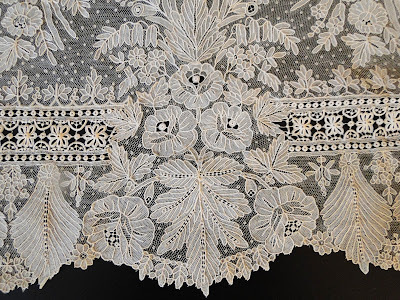 CIRCA 19THC.BRUSSELS POINT DE GAZE LACE #1. 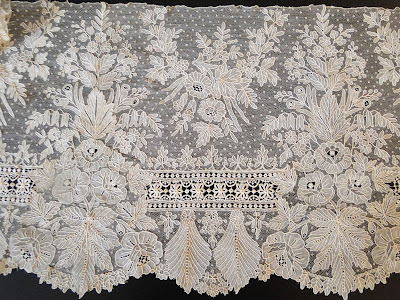 A very ornate Brussels Point De Gaze flounce measuring apprx. 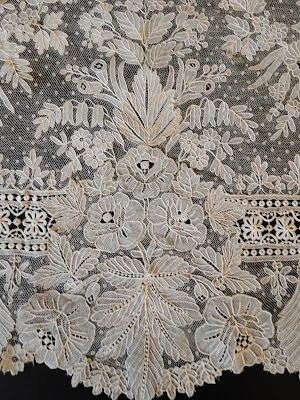 123 " by 10" wide, 312.42 cm by 25.4 centimeters. 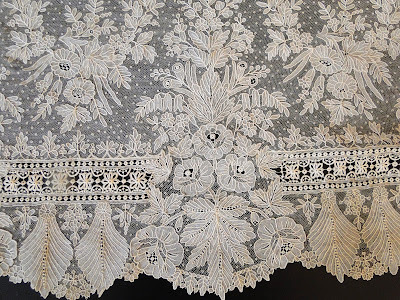 The ground is embellished throughout with beautiful floral sprays,Needle lace fillings, roses and leaves with scattered Point De Esprit throughout. In very good strong condition, with original cream patina, a few tiny scattered openings at top where it was attached, minor.Please see the other listings with the same design, this is part of a 10 yard overall length of Brussel lace.This lace matches AL644 and AL.653. 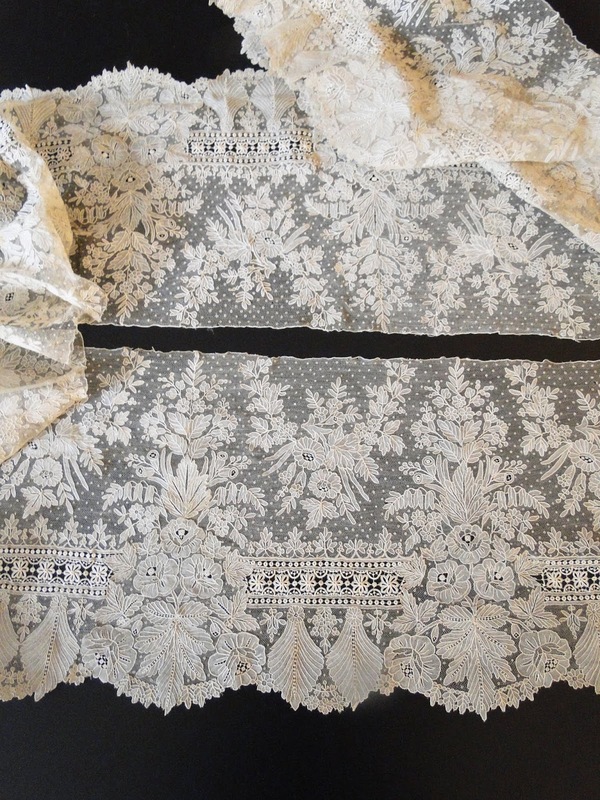 (Item #AL652).